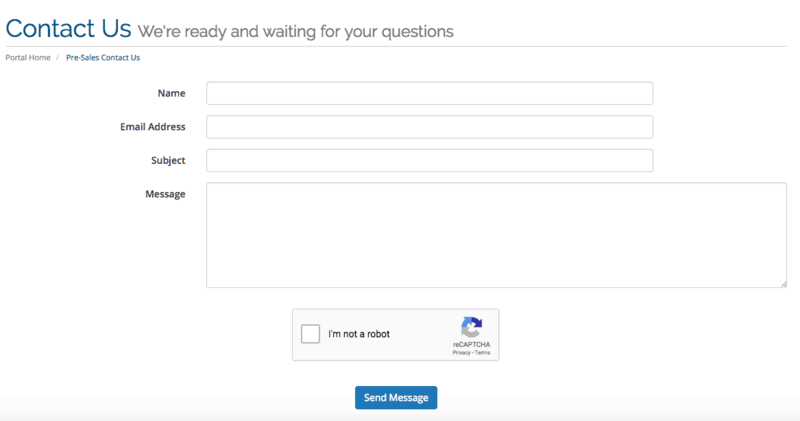 Zain Host Review 2019: Is Zain Host a Good Hosting? Zain Host offers a simple, no-frills selection of hosting plans. Its cloud hosting plans come with generous resources, but you’ll pay a premium for them. Zain Host has a basic website, which is available in English and 30 other languages thanks to a drop-down menu that triggers the Google Translate plugin. Let’s dig a bit deeper to discover if this provider’s offerings are as spartan as its website. You should already see how many of the features – backups, SSL certificates, and domain registration – come at extra cost, but more about this later in my review. In addition to these purchasable add-ons, Zain Host’s main offerings are its Cloud Hosting and WordPress Hosting packages. It’s going to be difficult to make a decision based on the limited information on Zain Host’s website, but let’s try. 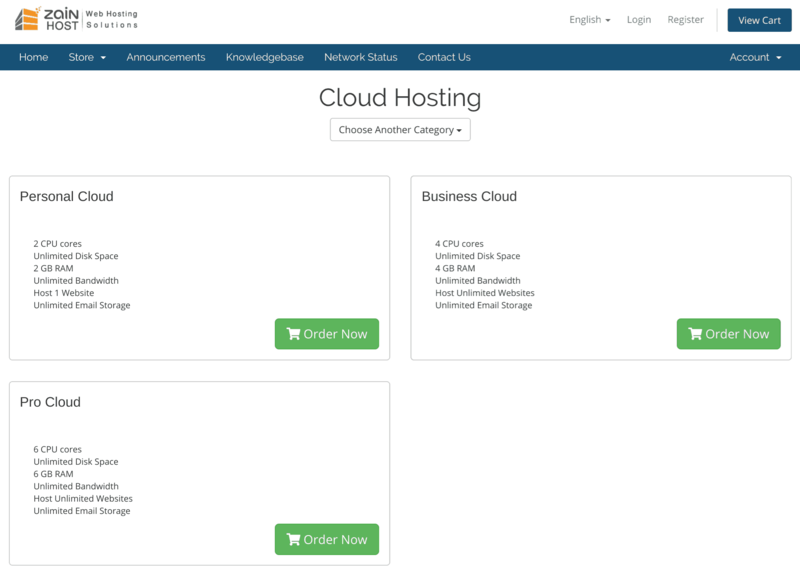 The three Cloud Hosting plans come with unlimited bandwidth and disk space. Depending on the chosen plan, the number of CPUs increases from 2 to 6 and the RAM increases for 2 GB to 6 GB. The lowest Personal Cloud plan comes with one domain whereas both the Business Cloud and Pro Cloud plans come with unlimited domains. The four WordPress plans come with between one and five WordPress installations, 5 GB to 40 GB storage, 2 GB to 6 GB RAM, and from 1 GB to 25 GB of cloud backups. Apparently, this is all you get. There is no mention of beginner-friendly tools such as a website builder or one-click installer. There is also no mention of support for advanced coding languages such as Python and Perl. So in a nutshell, you get basic hosting plans with various resource levels but no additional features. Zain Host provides plans with high resource levels at high prices. For me, it’s difficult to justify those premium prices given the apparent lack of additional features. With SSL certificates and domain registration costing extra, the pricing model resembles that of a budget airline that charges extra for many essentials, except this host doesn’t begin with budget pricing. Plans can only be bought on one-month terms, which is fortunate because the price would be way too high to pay for a whole year upfront. There is no sign of an uptime guarantee or free trial, but with such a minimal one-month commitment, you might conclude that you have little to lose by signing up. Unless you’re signed up as a customer, they only way to contact this company is via an online form. I don’t know what other support options are offered when you become a customer, but if you’d like to support yourself, you’ll be disappointed to see that Zain Host’s public knowledge base is empty. Zain Host sells cloud hosting and WordPress hosting plans with high resource levels at high prices. When it comes to any additional features or support options, this provider plays its cards pretty close to its chest, so it may be difficult to decide if it is the right host for you. Wondering how Zain Host stacks up against other Web Hosting companies? Enter any other Web Hosting company and we will give you a side-by-side comparison.